Online stream anime episodes, Watch Naruto Shippuden Episode 176 English Subbed online and free episodes. 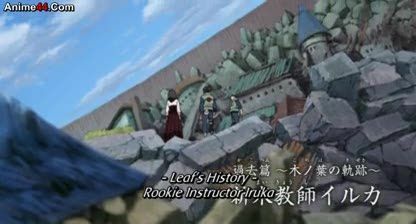 Anime Episode guide, Chapter Naruto Shippuden Episode 176 English Subbed Rookie Instructor Iruka This is a flashback episode. Iruka Umino has just become Naruto Uzumaki’s Academy class teacher. A colleague teacher of Iruka advises him to not mistreat his students so that they will not cause trouble. But Naruto still causes mischief, as he is pained by his teacher’s words to his classmates to ignore him and to not get involved with him. Lastly, Naruto discovers that Sasuke Uchiha is the only survivor of the Uchiha clan.